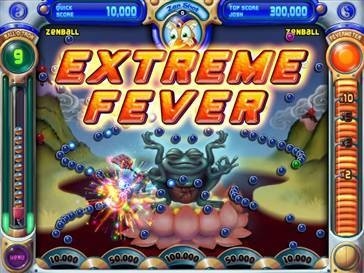 The unlikely Square-Enix/PopCap team-up Gyromancer may use the fiendishly addictive Bejeweled Twist for its RPG combat, but the developers considered building a game around Zuma and Peggle first. Gyromancer, which - despite what the name might lead one to believe - is sadly not a game where you magically create delicious Greek pita sandwiches, but rather a puzzle RPG team-up between Square-Enix and PopCap, hits XBLA and Steam this Wednesday the 18th. The game's puzzle-based combat utilizes PopCap's nefariously addictive Bejeweled Twist match-three gameplay, but the Square-Enix team in charge of development told Siliconera last week that the developers had looked at building a game around some of PopCap's other titles. "We had confirmed that some sort of puzzle system would be utilized as the base, but it took a while to decide which one exactly to go with. The intention for this game had always been to have a single-player focus, so instead of going for a versus-styled interface, we wanted something that would make the enemy-ally positioning very clear ... with this mindset, PopCap games like Zuma and Peggle were actually brought up as candidates." All I have to say on that is "Thank God." Peggle is addictive enough on its own, man! Can you imagine a game that combines the sheer heroin-tastic delight of Peggle with the RPG thrill of "Whoo, gained a level! Time to grind some more"? We really dodged a bullet here.